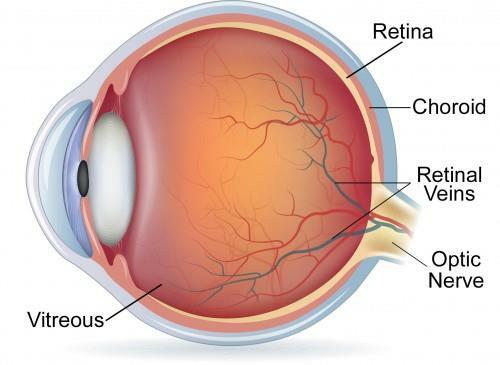 Retina is the light-sensitive tissue lining the back of our eye. Retinal detachment is an emergency situation. It occurs when the retina (light-sensitive tissue at the back of the eye) is lifted off the wall of the back of the eye or separates from the layer underneath. 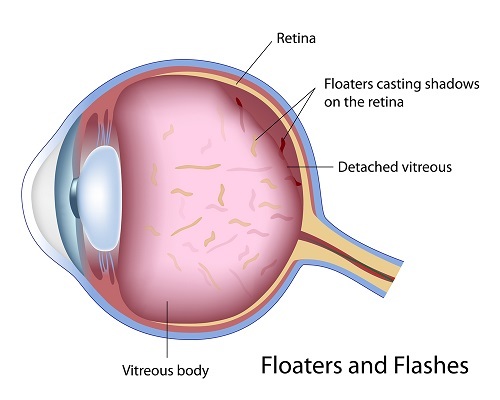 Retinal detachment occurs due to the break in the retina which allows the fluid to enter behind the retina. It can occur due to an injury in the eye, or the inflammation in the eye. Another cause is, previous cataract surgery. Rarely does it cause due to the choroidal tumour (which is a malignant intraocular tumour). Advanced Diabetes can be one of the cause of retinal detachment. What are the treatments for retinal detachment? Small holes and tears in the retina are treated by a laser operation. The other treatment includes surgery-Scleral Buckle or Vitrectomy. Scleral Buckle is an operative procedure for repairing retinal detachment. A scleral buckle is a soft silicone material sutured to the sclera. It is used to close the retinal break. It is placed in such a way that it encircles the entire eye like a belt. And in Vitrectomy a small cut is made in the sclera (white part of the eye), a small instrument is placed into the eye which removes the vitreous (jelly-like substances in the eye which fill the eye and helps to maintain the round shape). A gas is injected in the eye which replaces the vitreous and reattaches the retina. What occurs if detached retina not treated on time? Retinal detachment if not treated can lead to permanent loss of vision. Usually, there is no pain associated with a detached retina. One may experience symptoms like flashes of light, blurred vision, floaters, peripheral vision may reduce.